The Foundation is dedicated to the memory of Melody Shafie whose long and courageous fight against neuroblastoma ended on January 22,2006. Melody was six years old. In some aspects, her story is typical of children battling Neuroblastoma. With the constant support of her twin sister Ava, her father Hamid and her mother Maryam, Melody underwent multiple treatments including several courses of chemotherapy and a bone marrow transplant. At times, the treatments appeared to be successful, but the disease would eventually reemerge. In spite of her young age, Melody understood what was happening to her. Yet, she neither lost her hope nor her smile. 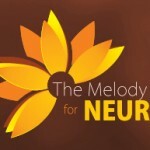 The Melody Shafie Foundation for Neuroblastoma Research (MSFN) was founded by Drs. Hamid Shamie and Maryam Mohammadi to fund research aiming at fostering the understanding and finding a cure for neuroblastoma.